Join us for a summer of high caliber baseball and unpredictable entertainment in 2019. Perk: Reserved seating and have your own dedicated server! 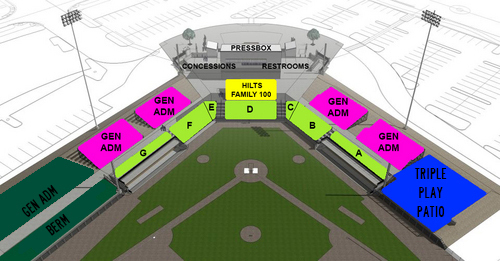 Perk: Reserved seating, directly behind home plate! Perk: Sit in a different seat each game! Let us sweeten the deal! $50.00 in Rogue Bucks, which can be used for all concessions and merchandise*! Questions? Comments? Let us help you out! Fill out the form below and we'll be in touch!